Need dentures? If you are someone who thinks you may be in need of dentures, know that there have been a lot of advance's over the years, which means you have options. The best way for you to know which type is going to work best for you is to schedule an appointment with a professional dentist. Whether you are missing all of your teeth, most of your teeth, or just a few of your teeth, the sooner you find out what your options are going to be, the better. When you have missing teeth, you are much more prone to having more oral issues. 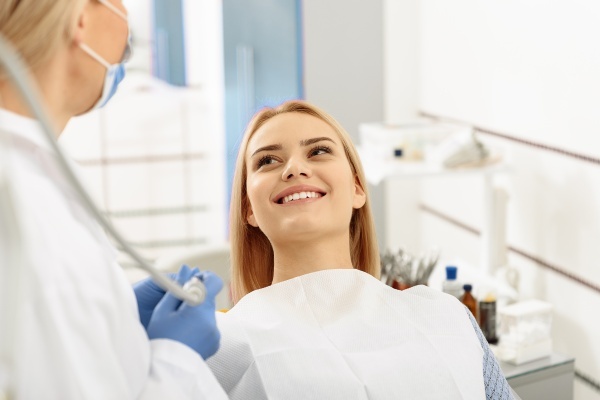 This makes it a good idea for you to contact a professional dentist as soon as possible so that you can get back on track to your good oral health. We offer lots of options for those who are missing teeth. Be sure to contact us today with your denture-related questions! While the majority of patients who are in need of dentures will qualify for a full or partial set, there are other options available. Because there are now a number of choices available for people who are missing teeth, the dentist is able to choose which one is going to work best for any particular patient's situation. Full dentures. Full dentures are also known as traditional dentures or conventional dentures. This type of denture completely replaces all of the patient’s teeth and are for the most part installed within three months after the patient has all of their teeth removed. Partial dentures. Partial dentures are used when a patient still has some of their original teeth and work the same way as full dentures. Custom dentures. Custom dentures are used when a patient is looking for a more natural smile, as this type of denture is specifically made with the input of the dental patient. Immediate dentures. Immediate dentures live up to their name as they are immediately put into a patient’s mouth as soon as the teeth are removed. Not every patient will qualify for this type of denture. Implant supported dentures. A dental implant is used to anchor the dentures, allowing them to firmly stay in place so there is no issue when it comes to them moving. Snap-in dentures. Just like the name implies, this type of denture simply snaps into place using anchors that are attached to existing teeth. Over dentures. This type of denture is completely removable and fits over the patients remaining teeth. 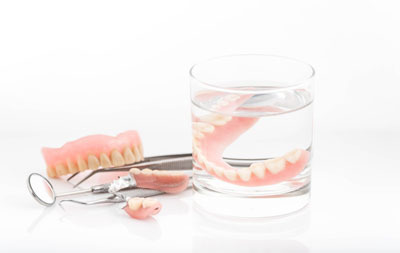 If you are in need of dentures, it is truly important for you to be comfortable when you are wearing them. Because there are a number of options when it comes to fixing a mouth that has missing teeth, you can expect a professional dentist to choose the best dentures for your particular situation. Ready to reap the many benefits that dentures can provide you? Now is the time!